Home / News / Viral / Vivian Velez to Jim Paredes: How can he talk about killing the innocent when his own mother has blood on her hands! Vivian Velez to Jim Paredes: How can he talk about killing the innocent when his own mother has blood on her hands! 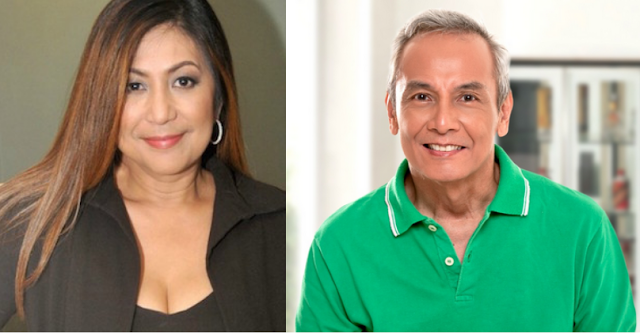 Actress Vivian Velez, in her Facebook post, she lambasted Jim Paredes by exposing about a group during Martial Law regime where she said that Jim’s mother was a member. "Meron hugot kasi... Jim keeps harping about the EJK or the people who died from drugs when his own mother was very much part of the LIGHT A FIRE MOVEMENT along w/ Steve Psinakis," Velez said. Furthermore, Velez revealed that it was Cory Aquino who pardoned Jim's mother when she got jailed. Meron hugot kasi... Jim keeps harping about the EJK or the people who died from drugs when his own mother was very much part of the LIGHT A FIRE MOVEMENT along w/ Steve Psinakis. They were responsible for bombing different establishments here including the old Philippine Plaza where innocent people died. This was where Nonoy Zuñiga lost his leg! Guess who pardoned her mother when she got jailed? Cory... So how can he talk about killing the innocent when his own mother has blood on her hands! In the Other Side of the Coin ... mi mga Conspiracy Theory na gawa ni Marcos ang nag Bomba sa mga Malls, Plaza at sarili nyang rally para makuha niya ang sympatiya ng mga tao at e-blame niya ang opposition at para maka-declare sya ng MARTIAL LAW-(BATAS MILITAR) pero si Marcos lang gumawa niyan. Pinaka marami piñatay si Marcos sa panahon niya bakit kayo maniniwala sa isang EVIL MARCOS niloloko lang kayo niyan.